Newly renovated studio apartment in a perfect location. Sunny bedroom area with ample cupboard space. 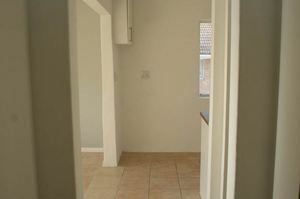 The kitchen has a newly fitted oven and hob, and is also plumbed for either washing machine or dishwasher. The bathroom has a shower over the bath.